View what happed with South Dakota v. Wayfair, Inc.
What are some of the most significant changes in the new tax reform law? On December 22, 2017, President Trump signed the Tax Cuts and Jobs Act (TCJA) into law. This new legislation is the biggest Federal tax law change in 31 years. The law makes fundamental changes to our nation’s tax system and creates tax savings and planning opportunities for individuals and businesses. We are continuing to analyze the changes and the impact to our clients. This page contains information and resources to help you understand the law and its affect on your situation. Just as individuals saw reductions in tax rates, changes in the treatment of deductions, credits, and other items, tax reform will result in massive changes to businesses. The number and impact of these changes are immense, and tax reform could cause businesses to rethink almost every aspect of their organization. Our Firm sees this as an opportunity to help businesses navigate the changing tax landscape and add value to what we do. At MBE CPAs we plan to analyze the impact of tax reform on every business we touch, proactively do planning to assess the impact, and discuss considerations and issues with business owners and decision makers. Changes were made to the treatment of capital expenditures and asset purchases. These include expanded expensing under IRC 179 and a temporary increase in “bonus” depreciation. Read more about two pitfalls to avoid when navigating the new bonus depreciation rules. Many of the businesses we work with are organized as S-Corporations and Partnerships. The Tax Cuts and Jobs Act made massive changes in this area. The most significant is the creation of an exclusion or deduction for 20% of “qualified business income”. This exclusion will effectively reduce the tax rate on qualifying income by 20%. Income otherwise taxed at the top 37% rate will be taxed at 29.6%, for a rate reduction of almost 7.5%. There will be substantial opportunities and planning around this qualified business income exclusion; we are also expecting additional details and clarification from the IRS. Stay tuned as we continue to monitor and analyze this is the future. Read more for a summary of the final pass-through rules. Key Tax Reform Provisions and Considerations for Pass-Through Entities. This 2-page document gives a condensed summary of the major changes and some issues and opportunities to consider. Businesses organized and taxed as C-Corporations, also saw major changes. The reduction in the corporate tax rate is substantial. Effective for years after December 31, 2017, a flat corporate 21% tax rate is in place, replacing a graduated corporate tax rate system ranging from 15% to 35%. The elimination of the corporate alternative minimum tax (AMT), changes to the treatment of net operating losses, limitations on certain deductions, and an overhaul of international tax system and treatment of foreign earnings, will also impact corporate tax results. Read more about the good, the bad and the ugly of corporate tax reform under the Act. Please click on the following link to review a comparison of key provisions for the prior year and under the new tax law, additional tax planning strategies to consider, and a summary of the revised ordinary income tax rates. A reduction in the individual tax rates ranging from 0 to 4%, will impact all individual taxpayers. Other changes include increased standard deductions, changes to itemized deductions and the expansion of the child tax credit. Read more for a summary of some of the key provisions of the bill that will affect individual taxpayers. Key Tax Reform Provisions and Considerations for Individuals. This 2-page document gives a condensed summary of the major changes and some issues and opportunities to consider. The Tax Cuts and Jobs Act is a sweeping tax reform package that impacts virtually all taxpayers, including tax exempt organizations. Here's a look at some of the more important elements of the new tax law that have an impact on tax-exempt organizations. In general, the provisions involved are effective starting in 2018. Excise tax on exempt organization's excessive compensation. Before the new law, executive compensation paid by tax-exempt entities was subject to reasonableness requirements and a prohibition against private inurement. The new law adds an excise tax that is imposed on compensation in excess of $1 million paid by an exempt organization to a "covered" employee. The tax rate is set at 21%, which is the new corporate tax rate. Excise tax on private college's investment income. Before the new law, private colleges and universities were generally treated as public charities, as opposed to private foundations, and were therefore not subject to the private foundation excise tax on their net investment income. The new law imposes an excise tax on the net investment income of colleges and universities meeting specified size and asset requirements. The excise tax rate is 1.4% of the institution's net investment income and applies only to private colleges and universities with at least 500 students, more than half of whom are in the U.S., and with assets of at least $500,000 per student. Exempt organization's UBTI computed separately for separate businesses. Before the new law, a tax-exempt organization computed its unrelated business taxable income (UBTI) by subtracting deductions directly connected with the unrelated trade or business from its gross income from the unrelated trade or business. If the organization had more than one unrelated trade or business, the organization combined its income and deductions from all of the trades or businesses. Under that approach, a loss from one trade or business could offset income from another unrelated trade or business, thus reducing overall UBTI. Under the new law, an exempt organization cannot use losses from one unrelated trade or business to offset income from another one. Gains and losses are calculated and applied to each unrelated trade or business separately. There is an exception for net operating losses from pre-2018 tax years that are carried forward. Exempt organization's UBTI to include disallowed fringe benefit costs. Under the new law, an exempt organization's unrelated business taxable income (UBTI) is to include any nondeductible entertainment expenses, and costs incurred for any qualified transportation fringe, parking facility used in connection with qualified parking, or any on-premises athletic facility. However, UBTI is not to include any such amount to the extent it is directly connected with an unrelated trade or business regularly carried on by the organization. If you wish to discuss any of these provisions, please don't hesitate to contact us. Tax Reform: Key Provisions of the Tax Cuts and Jobs Acts - This one-hour recorded webinar covers the major provisions of the Tax Cuts and Jobs Act. Tax Opportunities and Challenges for Manufacturers - An analysis of key tax issues confronting manufacturers in 2018, including Federal tax reform is provided in this one-hour recorded webinar. Tax Reform Observations, Opportunities for Individuals and Business Owners - You have heard the details of the key provisions of the Tax Cuts and Jobs Act. Now it is time to determine how to plan to ensure you don’t miss an opportunity under these new sets of rules. What does the Tax Cuts and Jobs Act mean for pass-through entities? - The Tax Cuts and Jobs Act (the Act) has undoubtedly captured your attention and left you with questions on how its provisions will affect your pass-through entity. Re-evaluating your choice of entity after tax reform - Most pass-through businesses consider their entity structure only once, at the time of formation. However, the Tax Cuts and Jobs Act has taken the traditional rules and turned them upside down. Corporate tax rates have been slashed from 35 percent to 21 percent while pass-through businesses such as S corporations and partnerships may now qualify for a new pass-through deduction that would effectively cut their tax rates from 39.6 percent to 29.6 percent. 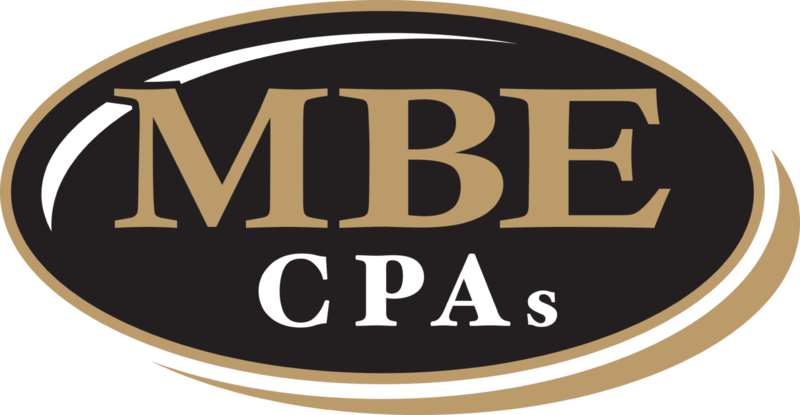 If you have questions or would like to discuss the impact of tax reform on your specific situation, please contact us or talk to your MBE CPAs tax professional. MBE CPAs, LLP is a proud member of RSM US Alliance, a premier affiliation of independent accounting and consulting firms in the United States. RSM US Alliance provides our firm with access to resources of RSM US LLP, the leading provider of audit, tax and consulting services focused on the middle market. RSM US LLP is a licensed CPA firm and the U.S. member of RSM International, a global network of independent audit, tax and consulting firms with more than 38,000 people in over 120 countries. Our membership in RSM US Alliance has elevated our capabilities in the marketplace, helping to differentiate our firm from the competition while allowing us to maintain our independence and entrepreneurial culture. We have access to a valuable peer network of like-sized firms as well as a broad range of tools, expertise and technical resources. These resources include a wealth of information and cutting edge analysis of Tax Reform that we are pleased to be able to share with you. The information contained herein is general in nature and based on authorities that are subject to change. RSM US LLP guarantees neither the accuracy nor completeness of any information and is not responsible for any errors or omissions, or for results obtained by others as a result of reliance upon such information. RSM US LLP assumes no obligation to inform the reader of any changes in tax laws or other factors that could affect information contained herein. This publication does not, and is not intended to, provide legal, tax or accounting advice, and readers should consult their tax advisors concerning the application of tax laws to their particular situations. This analysis is not tax advice and is not intended or written to be used, and cannot be used, for purposes of avoiding tax penalties that may be imposed on any taxpayer.